We know you’re not interested in a quick fix; and neither are we. We will always strive to fix rather then replace, because we don’t want to blow your budget. With our high quality services and devices, if the issue at hand is fixable then we will do everything in our ability to use what’s already established. If not, we’ll replace with only the highest quality material to ensure your problem isn’t temporary. Jason Vella started Blue Sky Plumbing as a sole trader in 2002 as a side job. 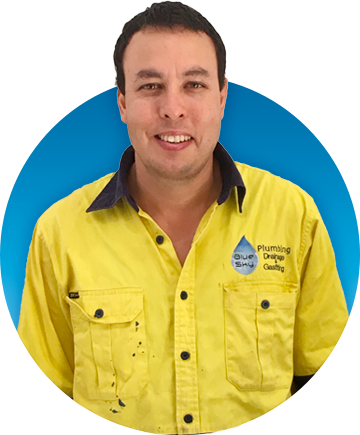 With the skills, experience and excellence he built up overtime, he decided to take the leap into running Blue Sky Plumbing full time in 2014. Jason knows the service he provides, and the team that he has trained will see any fixable problem solved with a long term solution. “Nothing is too hard, complicated or unachievable”. With 20 years’ experience working in both our local community, and as far north as Mornington Island, Jason has a proven extensive knowledge of the trade. He has managed projects for Qld State Government, commercial business’, schools, real estate clients, and mums & dads. These projects have varied in size from maintenance work, through to rain water tank installations, bathroom renovations, shop fit-outs, conversion to disabled facilities, and replacement of roofs to name a few. He is fully licensed, with all of his endorsements to ensure that we are able to meet all of your plumbing needs. Jason is passionate about our brand, and is committed to delivering quality service and positive results for our clients each and every time. “We provide a reliable service with a friendly team of experienced tradespeople”. Scott has been working in the industry for 18 years. In this time he has gained a comprehensive knowledge of all aspects of maintenance and construction plumbing. 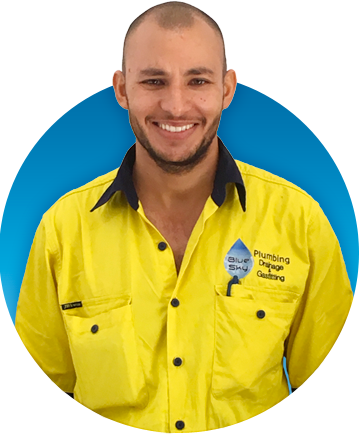 He manages the day to day operations of our Sunshine Coast business, tackling any plumbing issues that arise, from responsive maintenance and blockages, to burst water mains. He also manages our construction/planned maintenance projects. Scott has previous commercial experience including holiday resort maintenance, mining, and construction of new homes. Scott is committed to keeping our clients and our relationship with them at the forefront of everything we do.